With 40 acres of beautifully maintained parkland, a 1,000 sqm multi-purpose function hall complete with a large professional kitchen and camping facilities, the Borders Events Centre (BEC) is the Scottish Borders’s most versatile events space. 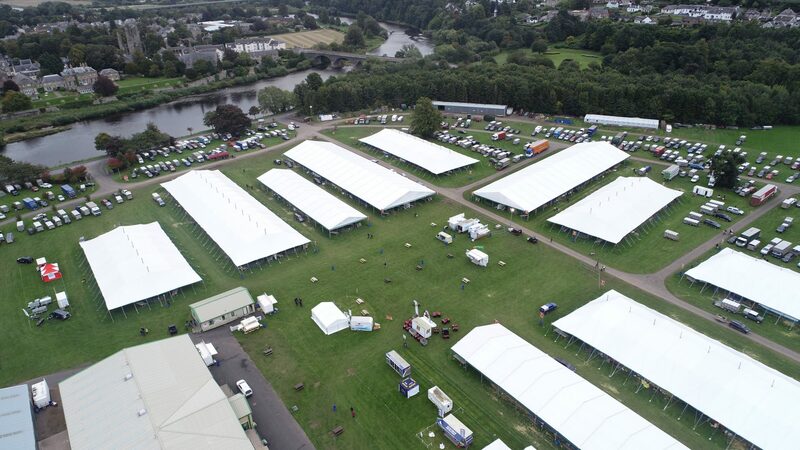 Ideally located on the outskirts of the historic, cobbled town of Kelso and its hotels, B&Bs, cafes and pubs, the large events venue is just an hour’s drive from Edinburgh and 90 minutes from Newcastle and Carlisle – perfect to capture an audiences from Scotland, Northern England and further afield. The spacious hall lends its self perfectly to any number of events from conferences and exhibitions to weddings and charity balls. Externally, the grounds regularly play host to agricultural shows and sales and are well suited to fairs, festivals and sporting events. Our dedicated team have a wealth of experience and are on hand to advise and ensure your event goes off without a hitch.